Blinkbox (stylised as blinkbox) is a UK-based transactional (purchase and rental) video-on-demand (VoD) service available on Macintosh and Microsoft Windows computers, games consoles, tablet computers and Smart TVs. Content is generally streamed, with downloading currently possible on Windows PC/laptops. The Blinkbox brand has been extended to companion services offering digital music and books. Tesco bought an 80% stake in the business in 2011 as part of a move into digital content. 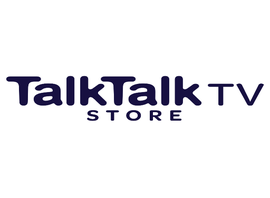 On 8 January 2015 the company sold Blinkbox to TalkTalk Group, who stated they intended to integrate the service into its own range of services. Tesco sold Blinkbox Music to Guvera on 26 January 2015, and confirmed it would close its Blinkbox Books division at the end of February 2015. The company was co-founded in 2006 by Michael Comish (he was Blinkbox´s chief executive officer until June 2013 when he became Tesco Group Digital Officer) and Adrian Letts, chief operating officer of the blinkbox group of services and MD of the Movies and TV service, both former senior executives of Channel 4 and Vodafone respectively. Blinkbox was launched in October 2007 with the backing of a number of venture capital firms. Blinkbox Movies and TV has content deals with over 50 of the world´s leading content producers including HBO, BBC Worldwide, Disney, Warner Bros., Universal Studios, Paramount Pictures, Sony Pictures Entertainment, 21st Century Fox, FremantleMedia, All3Media, Revolver Entertainment and Aardman Animations. In 2010 the company signed a deal with the Samsung Group allowing films to be streamed directly though any Internet@TV Samsung TVs. blinkbox also formed a content partnership with YouTube allowing the site to carry blinkbox films on its new Movies section. The service was also the first in the UK to offer streaming film content through Sony?s PlayStation 3, and Microsoft´s Xbox 360 consoles. Rental content can be streamed directly to a Windows PC, Mac, Xbox 360, PlayStation 3 or Samsung Smart TV, and can be viewed any number of times within 48 hours. Buy-to-own content can be viewed without limit. The Blinkbox app is built into all pre 2012 Samsung Smart TVs. Content is protected with Microsoft´s Windows Media DRM digital rights management and requires Microsoft Silverlight to play. Blinkbox cannot be used on Linux. On the 28th October 2014, Tesco shut down the Clubcard TV service, stating that they were not getting the level of repeat usage that they had hoped for.